MUCH IN the news these days, the words “complicity” and “collusion” warrant inclusion in my series of Etymology for our Times. It’s most appropriate to compare and contrast these two words in the linguistic as well as ethical sense. 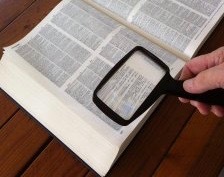 Indeed, this calls for a bit more research in Merriam-Webster and The Compact Edition of the Oxford University Dictionary. Complicity, according to Merriam-Webster, is “association or participation in or as if in a wrongful act.” There’s enough legal slack in this to justify just about any shenanigans. “Association”? 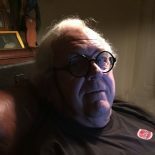 In what precise way, Mr. Mueller? 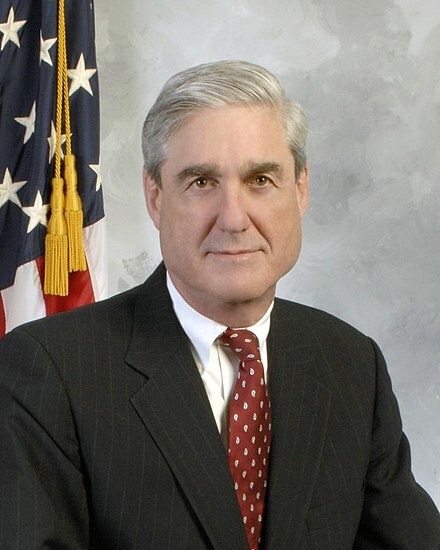 Robert Swan Mueller III, New York City-born 1944, American attorney, Bronze Star recipient U.S. Marine Corps, sixth Director of the Federal Bureau of Investigation, conservative Republican, currently head of the Special Counsel investigation of Russian interference in the 2016 U.S. election. Legal questions of complicity and collusion should be referred to him. In origin, “complicit” and “complicate” share the same Latin root, complicare, meaning “to fold together.” This sounds innocent enough until you realize that the words “accomplice” and “complicitous” are cut from the same linguistic cloth. The now-obsolete English word “complice,” dating back to the 14th century, defined “an associate or accomplice especially in crime.” It came from the French, though let’s not cast any aspersions in that direction. “Aspersion”? Another word for another day. And people wonder why I don’t just stick to writing about cars. The Compact Edition of the Oxford English Dictionary, two-volume microprint edition, Oxford University, 1971. Why the great linguist Samuel Johnson didn’t get involved remains a mystery to me; he wrote about everything else. Ah, I see. Like a deal of quid pro quo (yet another promising etymological tidbit!) involving an hotel, a foreign bank, and a sanction. Their Latin origin is more benign, indeed, downright fun. The Latin verb ludere means “to play.” The prefix “col” implies “playing together.” It was only later, in the 1300s, that collusion took on its illegal or deceitful overtones. Once the OED gets its bit between its teeth, it sure does go on. 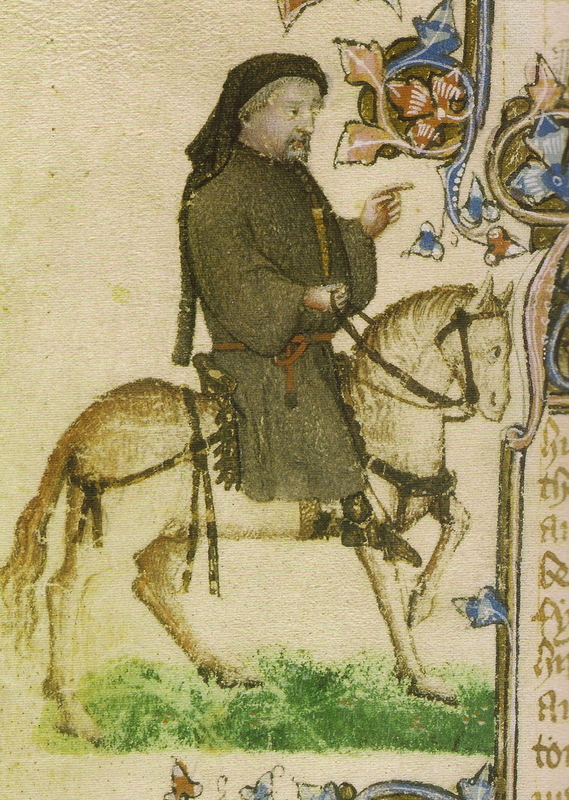 Image from Who Murdered Chaucer? : A Medieval Mystery, by Terry Jones et al, St. Martin’s Griffin, 2006. I’ll bet Middle English spelling bees were a hoot. Speaking of Mr. Mueller, Trump does not realize who he is dealing with. After a time with the FBI, he got a job with a law firm and was assigned a defense case. The defendants told Mueller they were guilty, and he told them they should plead guilty and go to prison. Mueller went back to the FBI. Thanks, carmacarcounselor. As you might guess, I plan to continue on all that interests me (and, I hope, my readers). This entry was posted on December 5, 2018 by simanaitissays in I Usta be an Editor Y'Know and tagged "Merriam-Webster Online" dictionary, "The Compact Edition of the Oxford English Dictionary", collusion = secret agreement especially to deceive or defraud, complicity = association or participation in a wrongful act, Robert S. Mueller head of Special Counsel investigation.